*The A Team. My boys are currently obsessed with the old episodes of this show. Obsessed, I tell ya. The awesome van, lots of guns, vehicles constantly being blown up…what’s not to love, right? Also, they’ve nicknamed their sister B.A. For some reason she’s not a fan…. *Yo-yo’s. They recently had an assembly at school where someone showed off yo-yo skills while storytelling. I now have dueling yo-yo’s going on here in the wee hours of the morn. Fun times. *Taxes. No, I don’t love paying them. The big new thing for me is that I found seasonal employment in an office which does tax preparations–for the Amish! It’ll likely be some clerical stuff, with maybe some e-filing thrown in. So..I guess I’ll be getting educated on tax forms and such ASAP!! *Kettle bells. I meant to put this in my December post, but I completely forgot until after the fact! Anyway, I was doing really well with consistently working out earlier in December, then fell off the wagon over the holidays. Now I’m starting back up with them again. 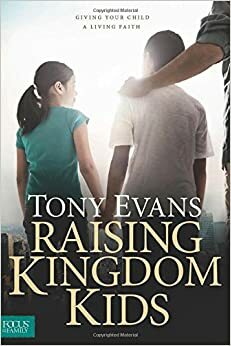 *Raising Kingdom Kids by Tony Evans. My husband and I will be co-teaching this series in a Sunday School class beginning next weekend. We are very excited about presenting this material to our church and learning as a couple in the process. Well folks, that’s it for now. Thanks for tuning in. I’m currently hearing kids humming the A-Team theme music, so I better go.